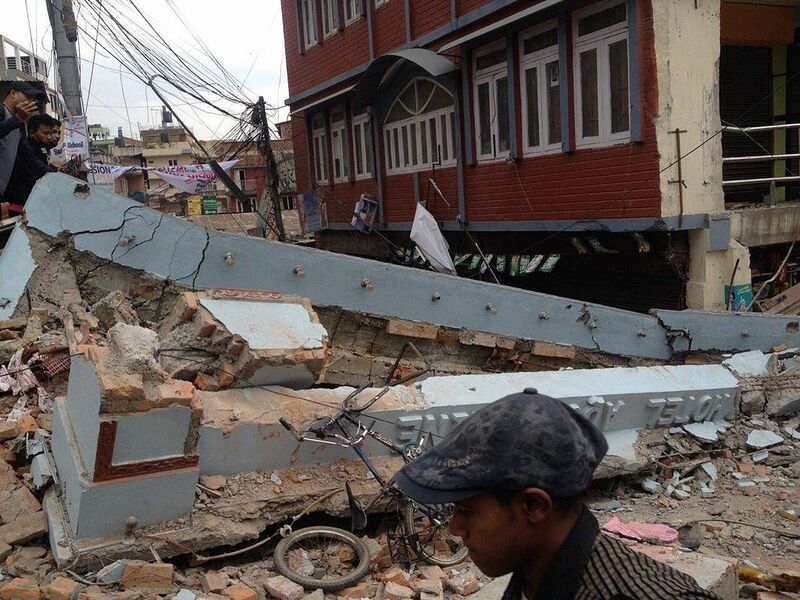 The Nepal or Gorkha earthquake, which occurred on April 25, 2015, was of a 7.8 magnitude on the Richter scale. The earthquake’s death toll now stands at 7,912 and 403 people are believed to missing. Hundreds of thousands of houses have been destroyed, rendering multitudes of people homeless, with entire villages flattened. The earthquake also triggered an avalanche in Mount Everest. 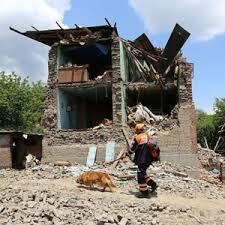 Significant aftershocks, in the form of fresh tremors, are common up to 3 months after such a large earthquake. Two medium sized tremors occurred on May 2-3 and there may be many more, impeding rescue efforts. There is an urgent need for medical supplies, food, and shelter for the surviving population. There is only “a small window of time” for relief workers in Nepal to put in place measures to protect people from deadly disease outbreaks. The upcoming rainy season from June- September could bring about deadly disease outbreaks to exacerbate the already dire conditions. As soon as the tragedy struck, social media was abuzz with people posting pictures and information on the mega crisis. Live earthquake videos and images, alerting the world on the tragedy, went viral on social media networks such as Facebook and Youtube. When disasters happen, people really need to know their loved ones are safe. It’s moments like this that being able to connect really matters,” said Facebook’s founder Mark Zuckerberg in a post. “This morning we activated SafetyCheck for people affected by the earthquake in Nepal. 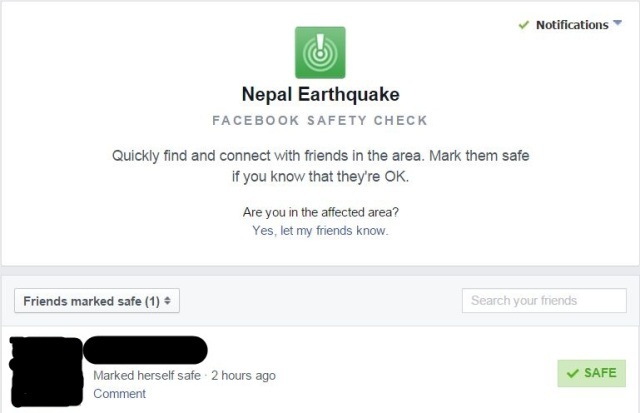 Facebook’s Safety Check service automatically sends messages to people whose GPS data shows they are within disaster zones, and suggests they provide information which could help anyone looking for them. Users can send messages to friends or relatives in the affected areas, and get automatic updates when they declare themselves safe. They can also provide information on people they are worried about. 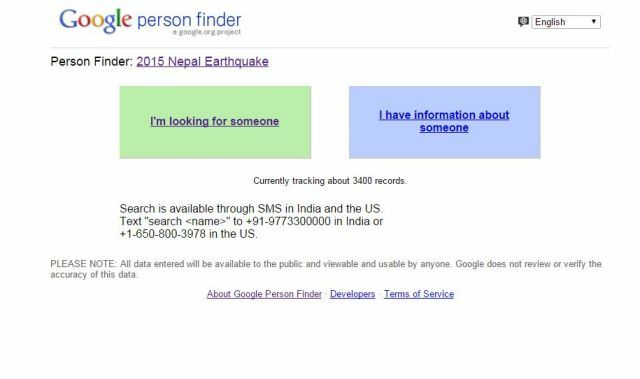 Google’s People Finder is another service that allows anyone to update live information about the condition or whereabouts of missing people. It was updated 5300 times in the first two days following the Nepal quake. The service was initially launched after the 2010 Haiti earthquake. Both services rely on “People Data” to get the required information to help. Crowdfunding platforms have allowed users to quickly organize fundraising efforts for the needs of the survivors. Over $4 million has been raised in a week by more than 553 campaigns between the three largest crowdfunding sites- GoFundMe, Crowdrise, and Indegogo. Facebook raised more than $10 million in two days by allowing users to donate through the platform. Big Crisis Data is being used in Nepal to produce crisis maps to direct relief organizations to people & locations that are most needy. Computer algorithms collect data from a multitude of sources- social media, cellular phones, unmanned aerial vehicles, and satellites. The collective information is analyzed to provide specific recommendations to optimize relief efforts. The United Nations is requesting that all the tweets in Nepal get searched and analysed. A network of 1,500 volunteers, scattered around the globe, manually label those tweets as “urgent need”, “infrastructure damage”, or “response effort” (ongoing activities on the ground). This Digital Humanitarian Network was set up to help humanitarian organizations make sense of the big data generated during disasters. After the manual labelling, artificial intelligence takes over to continue categorizing the data at super-human speed. #SocialMedia and #BigData are examples of modern technology that are playing a critical role in global welfare efforts to help humanity in crises. 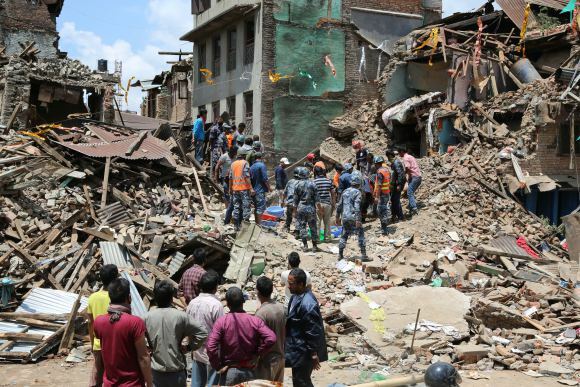 The Nepal or Gorkha earthquake, which occurred on April 25, 2015, was of a 7.8 magnitude on the Richter scale. The earthquake's death toll now stands at 7,912 and 403 people are believed to missing.